The cabinet resignation came a few days after Sisi was sworn in at the parliament for a second four-year presidential term. 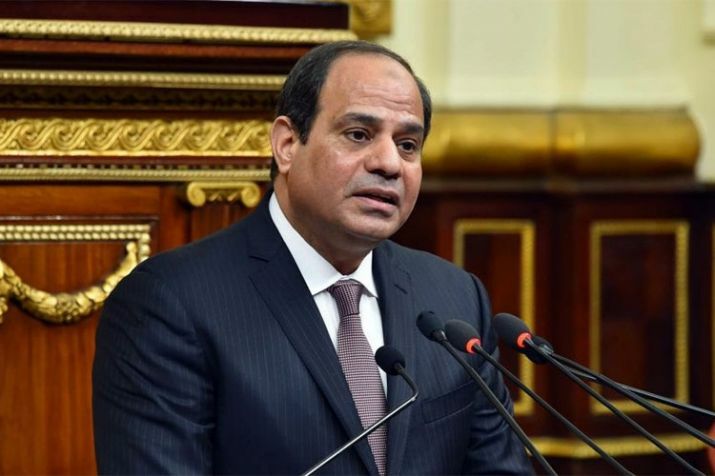 Cairo: Egyptian presidential spokesman has said that Egyptian Prime Minister Sherif Ismail has submitted his government's resignation to President Abdel-Fattah al-Sisi. "The President assigned the government to act as caretaker and continue performing its duties until a new government is formed," presidential spokesman Bassam Rady said in a statement on Tuesday, Xinhua news agency reported. It is a political tradition in Egypt, the government should resign at the start of a new presidential term. However, El-Sissi and Ismail are known to enjoy a close working relationship, with the general-turned-president often publicly praising his prime minister. Lawmaker Sayyid Abdel-Aal, head of leftist Tagammu Party, said that the president will name a prime minister and present it to the parliament or name a prime minister after consultation with most of the parliament. "After naming the prime minister, the latter will name the cabinet ministers expect for sovereign ministries, whose ministers are determined in consultation with the president," the lawmaker told Xinhua following the cabinet resignation. The Egyptian government continues a strict, austerity-based three-year economic reform program which started in late 2016, including local currency liberalization followed by fuel and energy subsidy cuts and tax hikes to contain a budget deficit, promote local production and boost foreign investment. Abdel-Aal didn't expect major changes in economic ministries. "The new government will have to be committed to the economic policies already approved by the parliament and reflected in the new general budget," said the parliamentarian. Egypt's most recent cabinet reshuffle took place in January. It was partial, and it included the four ministers of culture, tourism, local development and public enterprise.